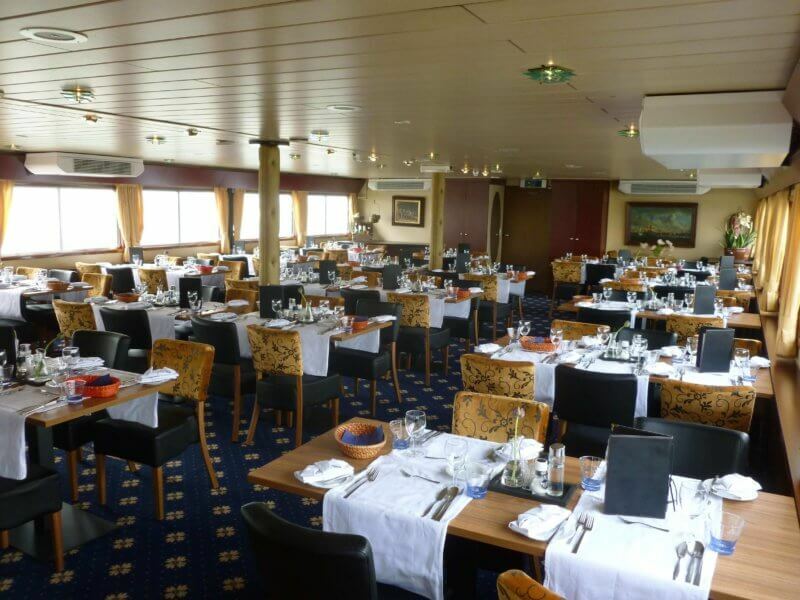 The lower deck has 36 cabins: 34 twin cabins (approx. 7.5 – 8m² = 81 – 86 sq.ft.) 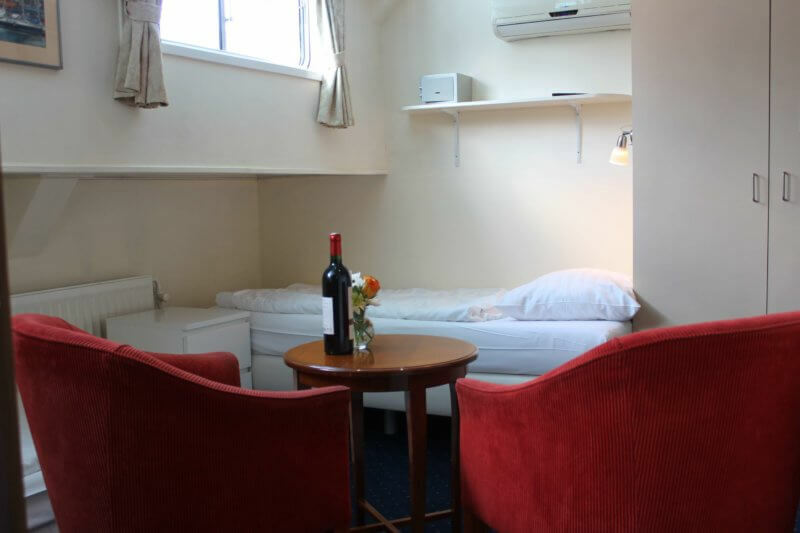 with two single beds next to each other and two junior suites (approx. 11m² = 125 sq.ft.) with two single beds next to each other, small sitting area. 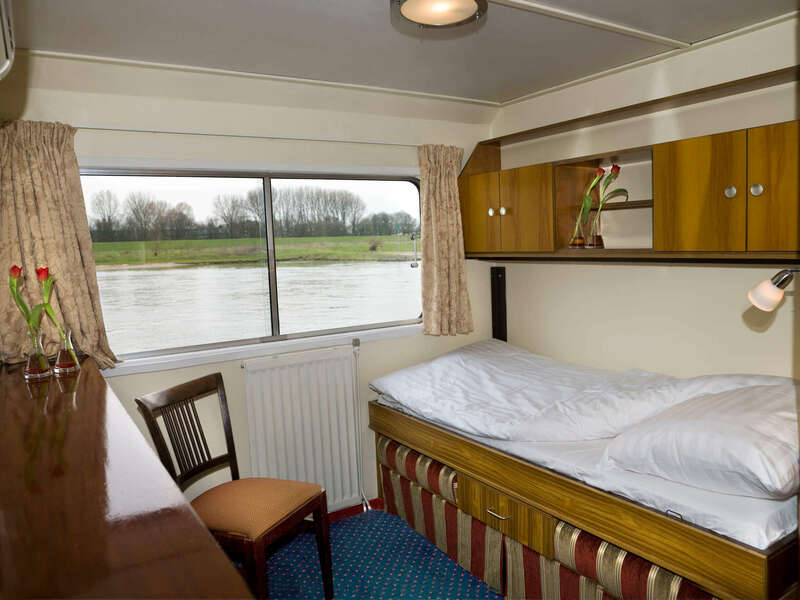 All cabins have small windows that can be opened, en-suite bathroom with shower + toilet, individually regulated air conditioning, satellite- TV, mini-safe. 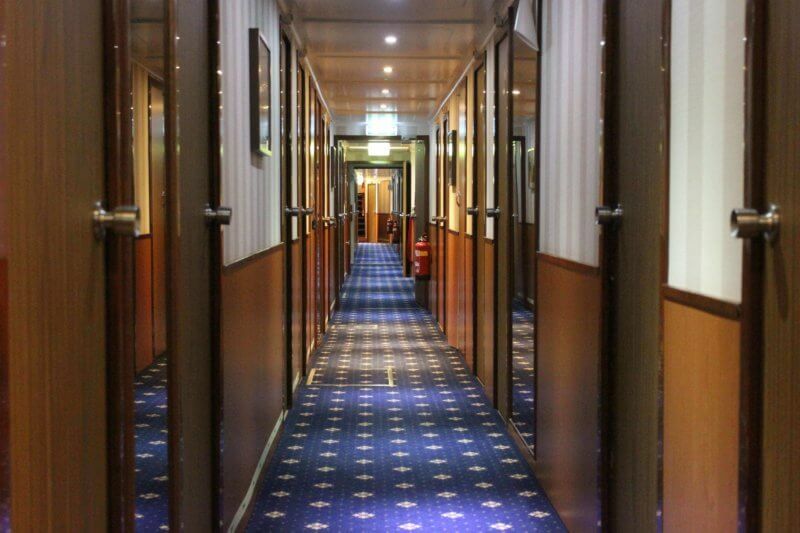 The upper deck has 11 twin cabins and 2 single cabins, all with the same facilities as the other cabins. 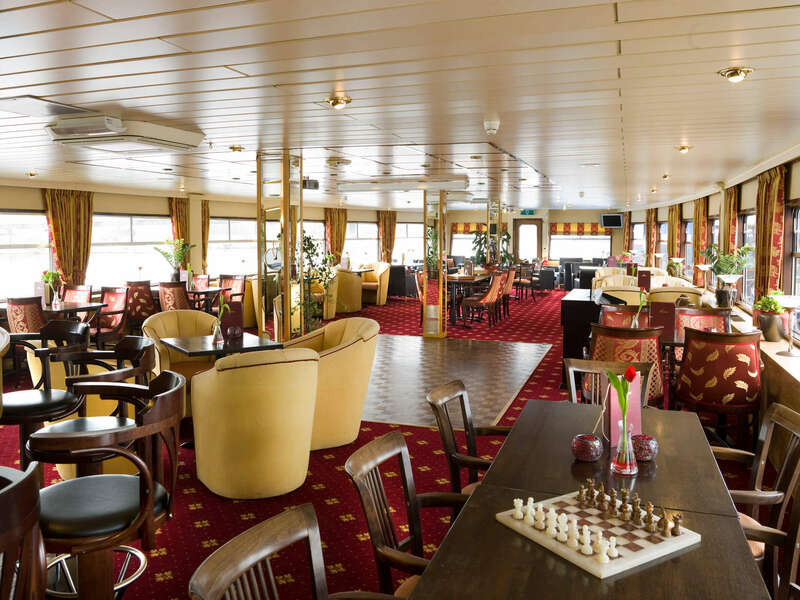 In the front part of the ship is the tastefully furnished salon/lounge with a nice bar and a small dance floor, large panoramic windows all around. In the back part of the ship is the restaurant with large windows. In the lounge, Wi-Fi is available (limited data). 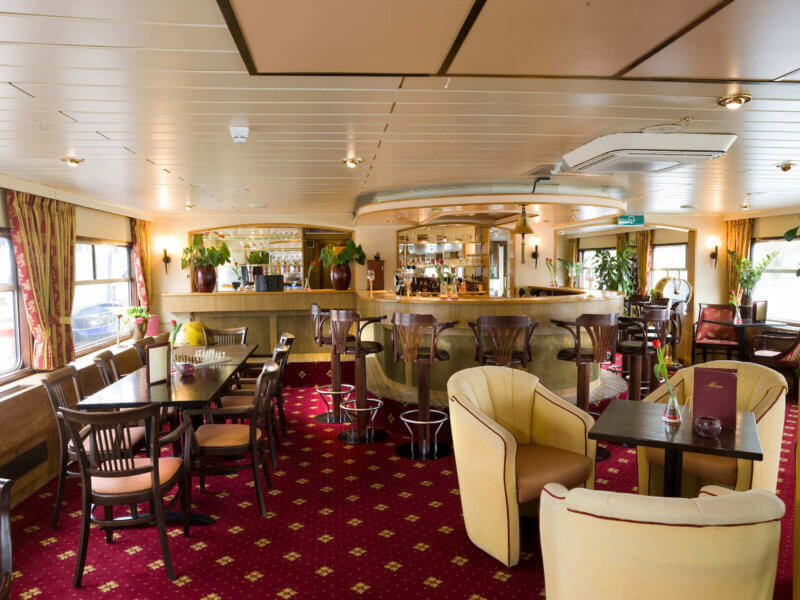 The sun deck has a large sunroof, chairs and tables, and a cycle shed (aft deck). An exciting tour. My first bike boat adventure. It was all I expected. Good food thanks Alv. Competent leader Margreet. Pleasant smiley helper Hanna. Always ready to assist Kristen. Two captains Bert and Jonna guided the boat. We had a tremendous time on your Tulip Holland seven day trip. Your crew could not have been more friendly and efficient. The route was exceptional ; and the balance between biking and sailing excellent. It was great fun there was plenty of laughter and banter. We will do another trip. You need to either have done a little regular cycling or go for an electric bike.